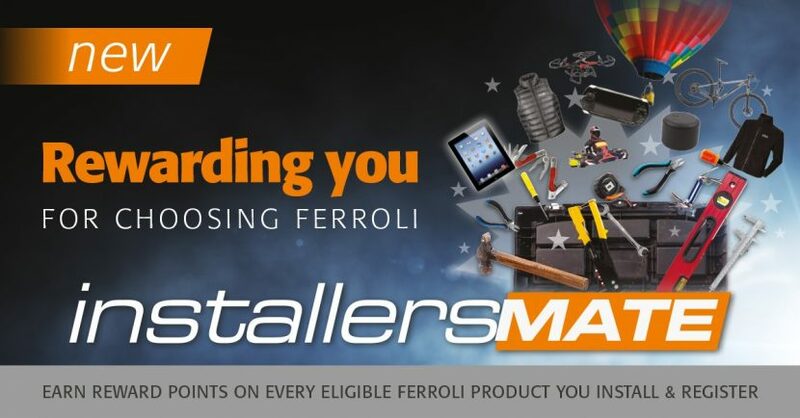 Heating engineers are being invited to sign up to Installermate, Ferroli’s relaunched loyalty club for installers which now offers with a number of new features and benefits including reward points for all eligible products registered, which now includes the company’s new range of electric and gas water heaters. As well exclusive free boiler warranty upgrades, free Gas Safe notifications and annual boiler service reminders for customers, members will now be able to upload a photo of the completed benchmark checklist, log the date of every annual boiler service and access their customers’ warranty certificates so that they have a full record of all activity on their boiler installations. To improve communication with customers, annual boiler service reminders can now be sent by text as well as email. “We asked our installers what improvements we could make to Installersmate that would make their working day easier and we think our new website will tick all the boxes,” says Marketing Manager Jasmin Martin-Hoare. 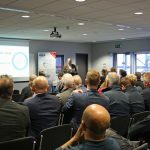 “We are especially pleased to be able to offer every member a fantastic range of rewards, including experience days out, electronics, gadgets and Ferroli branded clothing. With the new range of electric and gas water heaters, as well as instant electric kettles, Installersmate is now open to plumbers who aren’t Gas Safe registered but are qualified to fit electrical appliances. Members can currently secure a free warranty upgrade to seven years on the Ferroli Modena boiler, simply by registering the boiler with Gas Safe via Installersmate by 30th June.